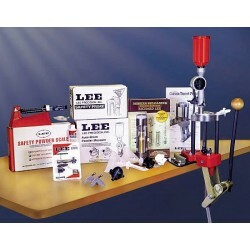 This kit and a set of Lee dies is everything you need to begin reloading. 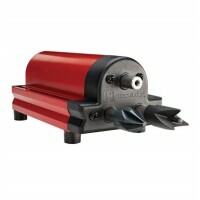 The Classic Cast Turret features solid steel linkage and a cast iron base.The Classic Cast Turret is fast and convenient when loading handgun cartridges, with rates in excess of 250 rounds per hour possible. 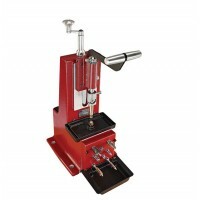 The kit includes the Auto Drum powder measure and riser, perfect for all handgun and small rifle cartridges. Large and Small Safety Prime are included making on press priming an ease. Instant change 4 hole turrets make changing calibers a snap. Deactivate the auto-index and batch load the longest and largest rifle cartridges. 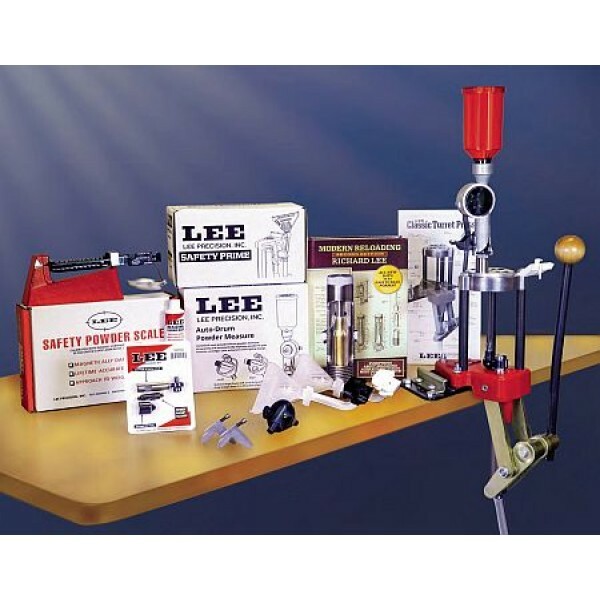 Complementing your press kit are the case conditioning tools to prepare your brass for loading. 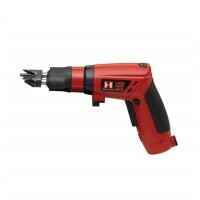 Includes Cutter, Lock Stud, Chamfer Tool, small and large Primer Pocket Cleaner, and a tube of Lee case sizing lube. Complete your setup with a cartridge specific Case Length Gauge (sold separately). 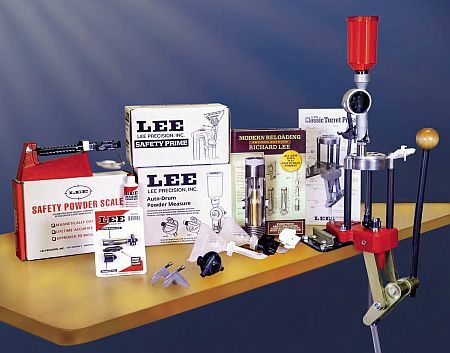 Verify your loads with the included Lee Safety powder scale. Completing the kit is Modern Reloading Second Edition, recently revised with all new load data covering 167 cartridges with over 28,000 loads. 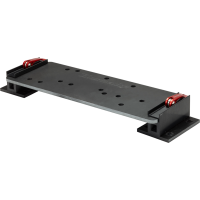 NOTE: The bench plate mounting system shown in the picture is sold separately in the "Press Accessories" category.